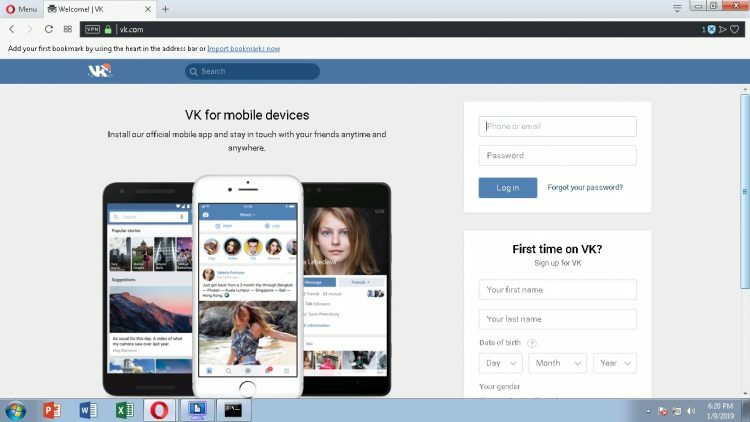 VK (short for its original name VKontakte; Russian: ВКонта́кте, meaning InContact) is a Russian online social media and social networking service. It is available in several languages but it is especially used by Russian-speakers. 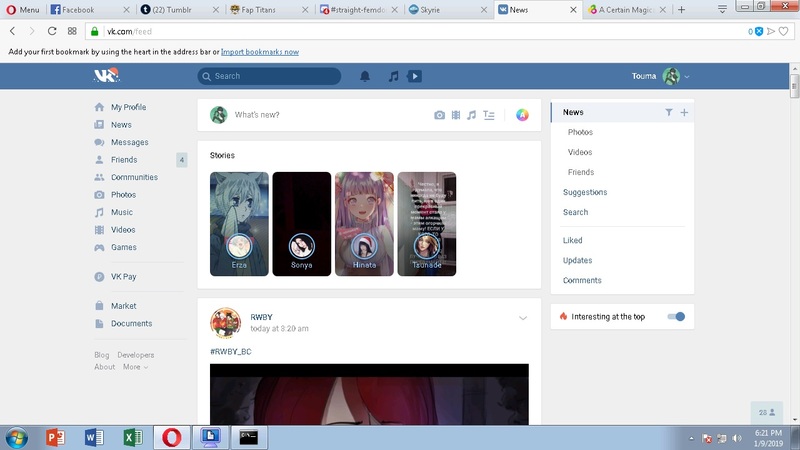 VK allows users to message each other publicly or privately, to create groups, public pages and events, share and tag images, audio and video, and to play browser-based games. It is based in Saint Petersburg, Russia. // I just might if things get to weird here. Time to explore. // I’m a little reluctant only cos it’s Russian. Don’t they want to track your info? // Not sure yet but thanks! // I’ll think about it and thank you. // Hi Touma! You made a group!!! Is VK working out for you so far? Are there other roleplayers? // I figured it would be in russian. Do you know Russian Touma?